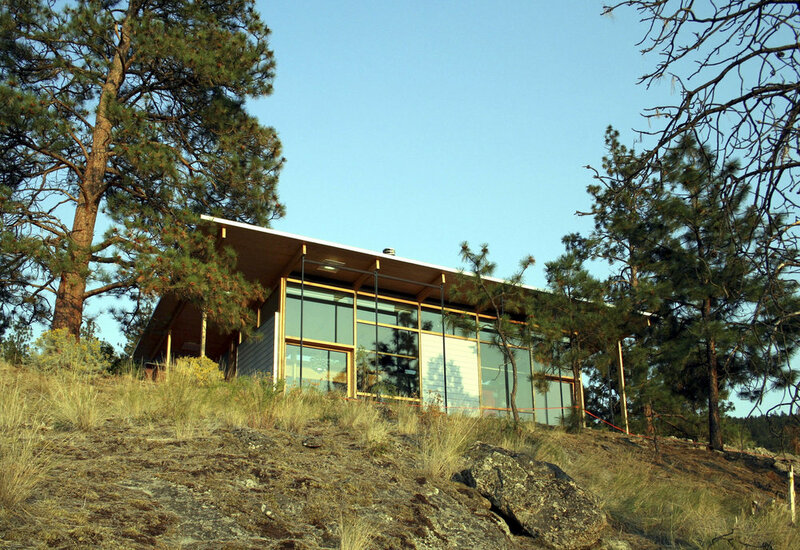 The house sits on top of a narrow, rocky knoll with spectacular views to the West. 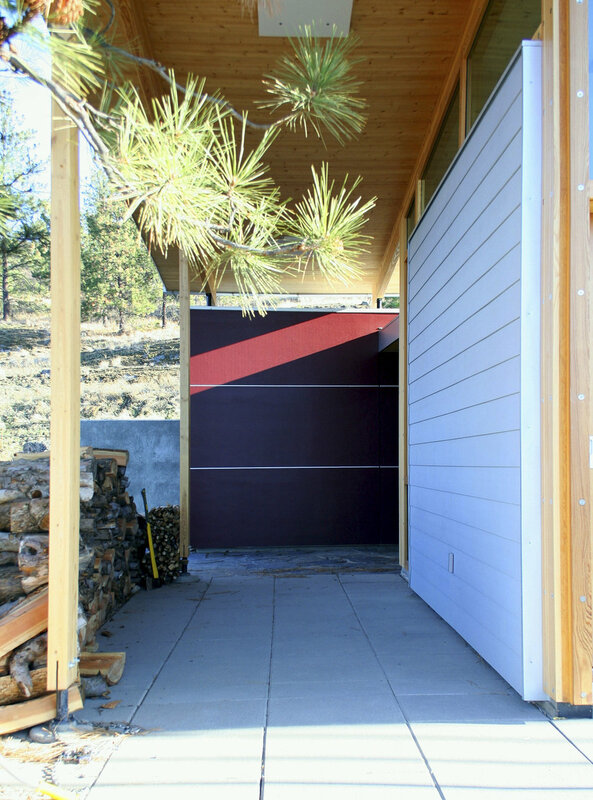 The Guest House forms a bridge between the garage and a rock outcrop to the north, under which all visitors must pass on their way to the Main House. 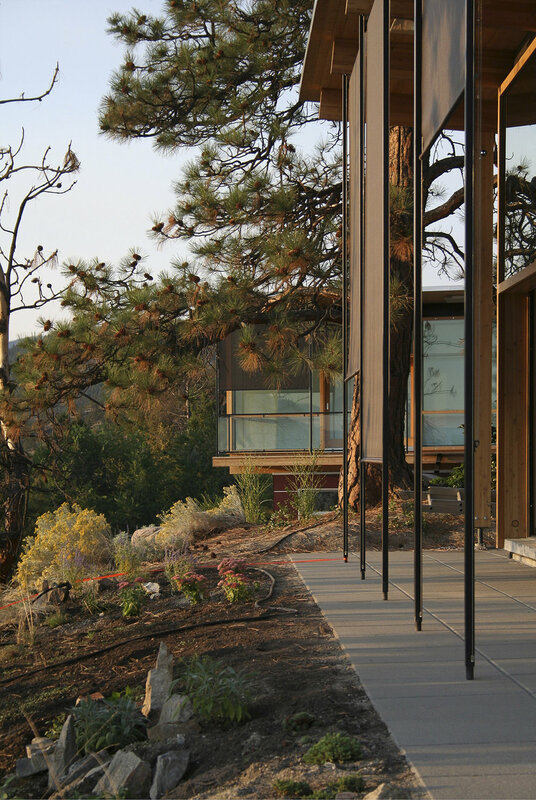 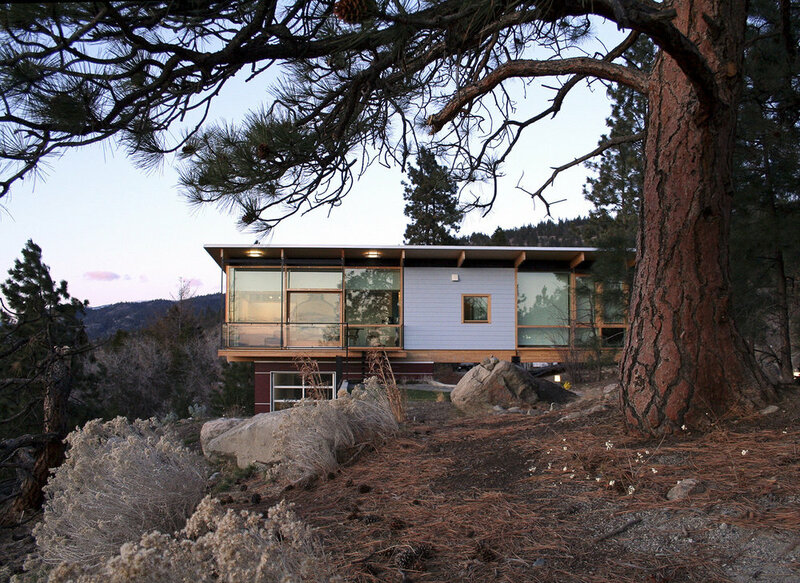 The home is arranged around the rocks, trees and contours to create a dialogue between the building and the landscape.